Monday night NBA action definitely got the week off to a flying start and there were some excellent wins on the road for a number of teams at the start of the week. The Mavericks defeated the Hornets by a score of 80-107 and the Denver Nuggets pulled off a big shock by trouncing the Cavaliers in Cleveland by a score of 97-106. The Suns triumphed in Boston by a score of 114-118 and the Heat were victors in Brooklyn by a score of 83-95. The Magic were also road winners, defeating the Pistons by a score of 93-107 and the Bulls were worthy winners in Los Angeles, defeating the Clippers by a score of 89-105. Over the course of the evening, there were only three home wins with the Grizzlies grabbing a big win against the Rockets by a score of 119-93. The Spurs continued their return to firm with a 100-75 win against the 76ers and the Trail Blazers were comfortable against the Pelicans with a score of 93-102. There may not be as many NBA games to plan your Tuesday night viewing around but there is still a great deal of basketball betting to look out for, so be sure to check out these games. The Kings were developing a habit of throwing away big leads but they came good with a massive win against the Spurs. Saturday night’s 94-91 win helped get the team back on track and with a 6-4 record, there is still a lot to be thankful for in the Kings camp. DeMarcus Cousins once again showed himself to be a class player with 25 points, while Darren Collison and Rudy Gay were both in top form as well. The Pelicans also have a positive record so far, 5-4, but they did lose out on Monday to the Trail Blazers. Anthony Davis was the main man for the team with 31 points and 11 rebounds but the team slumped in the final quarter, something which they will hope to rectify in Sacramento. Monday night was the first of four on the road for the Pelicans, so they will be keen to ensure that their positive record doesn’t slip away from them by the time they return home. The Pelicans are currently 1-3 on the road and there is a good chance that this will continue tonight, so taking the Kings with the spread may be the most sensible option when it comes to betting on this match. Bet Now! The Thunder may have a great number of injury concerns but they are in danger of offering up one of the worst openings to a campaign that the franchise has endured. The team is currently 3-8 but with players like Kevin Durant and Russell Westbrook out for a lengthy period of time and players like Andre Robertson and Perry Jones struggling in the short term; it can be a difficult process for the Thunder to get back on track. There was hope in a big win in Boston but they then slumped to a 65-69 home loss against Houston, which was the lowest Thunder points total since 2004. The Jazz aren’t doing that much better with a 4-7 record and they suffered a 93-111 loss in Toronto on Saturday to complete a poor run of away games. Enes Kanter has been in fine scoring form, as has Derrick Favors, and there will be a lot of hope that these two can serve up the points that will start to make a difference for the Jazz. With home advantage, and the Thunder looking depleted, taking the Jazz at odds of 1.86 with the team at -4.0 is likely to be a sensible bet for Tuesday night. Bet Now! 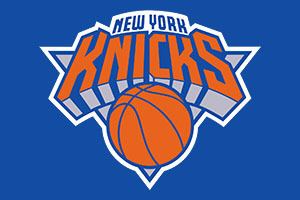 The Knicks enjoyed a great win against the Nuggets on Saturday with Carmelo Anthony continuing his fine form of this campaign but he was ably assisted by JR Smith, who served up a season high of 28 points. The Bucks are also coming into this game on a bit of high, triumphing against the Miami Heat, with Brandon Knight grabbing 20 points. Last campaign, it took 21 games for the Bucks to grab five wins, this season they have clocked up five wins in 10 games. This means that both sides have an air of confidence about them but of course, that can quickly evaporate in the NBA. This game is a close one to call but with odds of 1.90 for the Knicks at +3.5, looking for an on the road victory could bring dividends in this match. Bet Now! 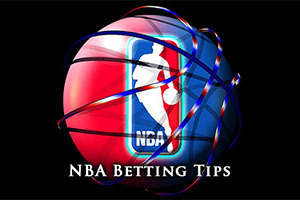 We also have a Tip of The Day for you in the match between the Los Angeles Lakers at the Atlanta Hawks, so be sure to check that out as well.